Elegant and refined, the stunning St Malo table lamp offers gorgeous contrasting textures to enhance your interior. With a fluted brass base reminiscent of the much-loved Art Déco style, this lamp immediately draws the eye. The cut-glass stem brings a touch of opulence to the look and beautifully refracts the light to add an extra dimension to your room. This stunning piece is completed by a luxurious taupe, pleated shade. Boasting a timeless design, the St Malo would grace both period and contemporary interiors whilst the grey tones of the shade complement any colour scheme. A fabulously decorative piece to lift your room, this fine lamp provides useful task or mood lighting after dark and could be positioned anywhere in your home. Your stunning lamp deserves to be showcased in style! 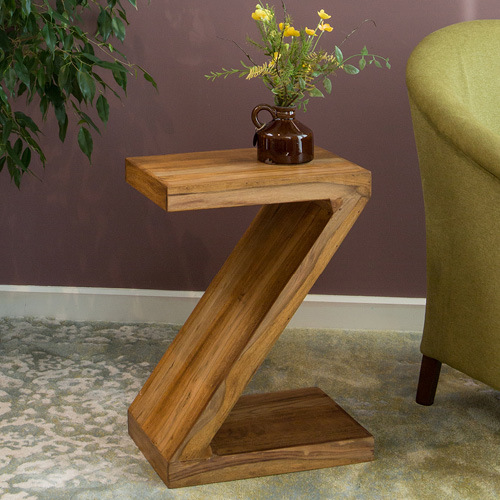 Our impressive furniture range features gorgeous lamp tables which would be the perfect way to display the St Malo. With diverse designs and finishes to choose from, there is sure to be a table which would fit effortlessly into your interior. Striking and timeless, the St Malo table lamp is a stylish piece with an air of quality which is both decorative and practical.